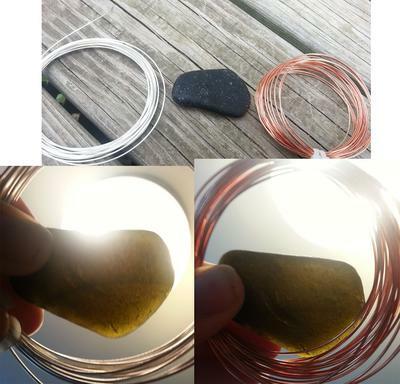 Identify - Black Sea Glass? 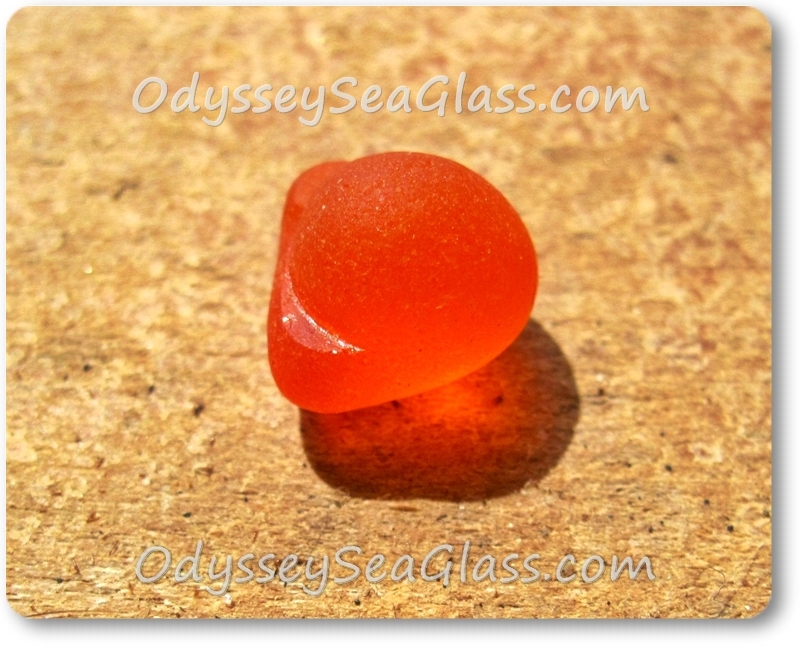 We are fairly new to beach glass hunting and enjoy it very much. 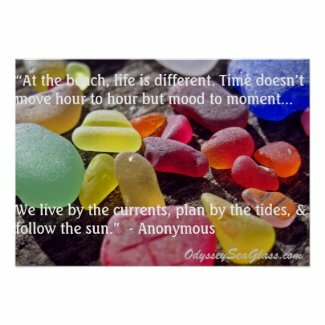 Today while looking my friend stumbled across this piece of beach glass. It is jet black in color (brown put beside for color comparison), and is completely see through when you hold it up to a light or the sun. 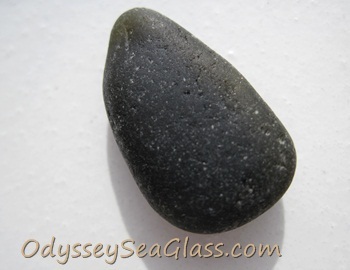 Can someone please help us figure out if this is black beach glass or something different? Anyone have any idea what these are? I have found several. 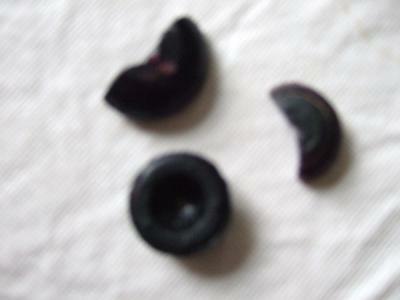 Does anyone know what these black pieces of sea glass are from? They are black glass when you look at them but when you hold them up to the light the color shines through. So far I have found several "raspberry", a couple of deep purple, and one that is an awesome shade of blue. 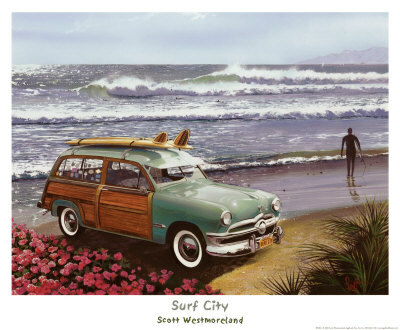 I picked up this piece because along with sea glass, I also like flat rocks. I really thought it was a flat rock. Last week I picked it up out of my rock collection and realized it's glass. It's about 2 inches long and 1.25 inches at it's peak and weighs .8 ounces. I found this on the Jersey Shore, northern Ocean County. I've read that black glass can appear an olive green or amber color when held up to the light and I'm trying to find out if this qualifies as "black glass". Some of the pieces are so thick and dark that light can't penetrate thru them. Others are greenish. I found a rather large amount of glass shards on an isolated beach off the coast of Panama. 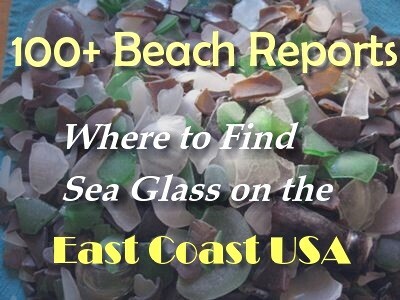 It's seems fairly old and this has piqued my interest in beach glass, that's for sure! What a fun hobby! 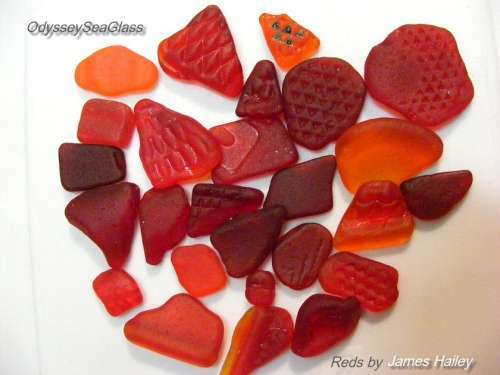 How do you tell if its beach glass or a stone? 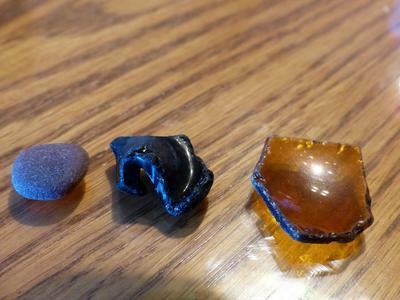 I've found some that I think is glass but not sure. That's a coincidence, as I found my first piece of "black" beach glass last week. 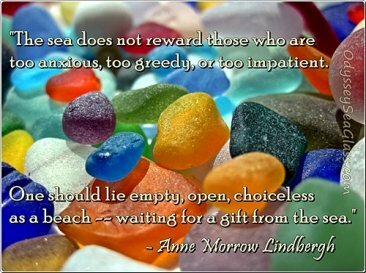 It was among the pebbles on the beach and the same color. 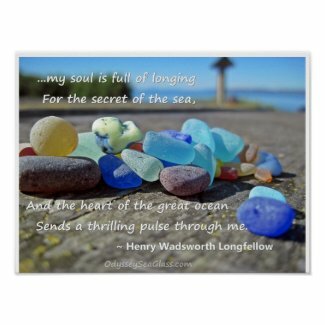 When I bent over to pick up some other small pieces of sea glass, my eye told me that it just "looked like" sea glass, so I picked it up and threw it in my baggie. When I got home, I held it up the light and, guess what? It was a DEEP RUBY RED! Wow! 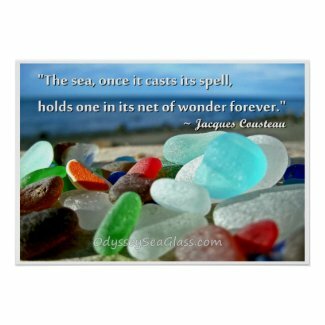 I guess even my recalcitrant eyes are getting trained to recognize hard-to-find sea glass. I always wondered if I was seeing black beach glass without knowing it. 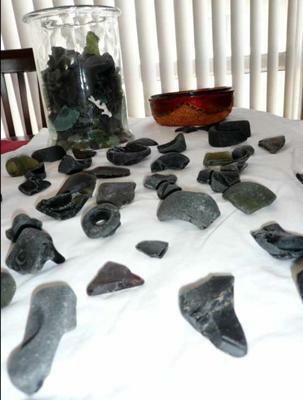 And I really wondered how in the world others found "black" beach glass when it is the same color as the rocks on the beach. 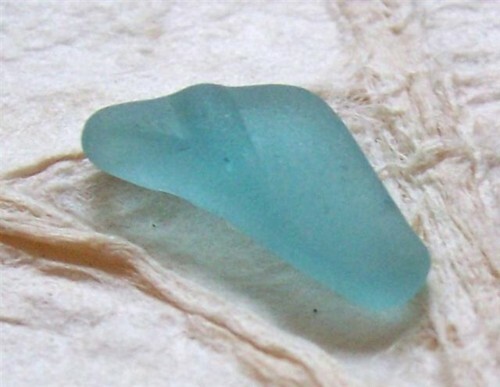 Well, I guess your eye eventually tells you something "looks like" sea glass. 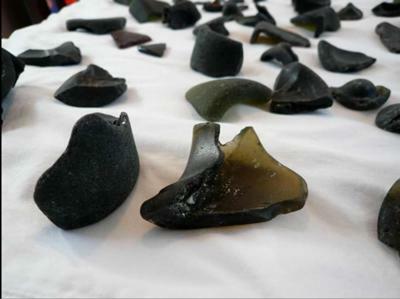 Of course, "black" sea glass is rarely black. It is very dark brown or green or another very dark color. The only way you can tell it is glass sometimes is to hold it up to a very bright light and see if there is a glow through around the edges.